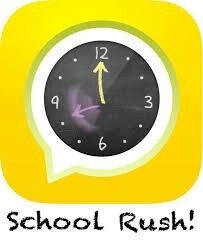 Beginning with the 2018-2019 school year, the Avonworth School District will be using SchoolRush to provide you with delay, closing, and emergency notifications. Also, each building will be able to utilize this system to send out building-specic information & announcements. Attached HERE is a document that will provide you with information about the SchoolRush App, as well as information about obtaining your password and downloading the SchoolRush App. Although SchoolRush does have an app, it is important to note that you do not need to download the app to receive emergency notifications, such as 2-hour delay and/or school closing alerts. You can still receive phone calls to phone numbers you have provided to the district in the event of a 2-hour delay, school closing, or other emergencies without downloading the app. However, by downloading the app you will be able to refer back to notifications that have been sent, as well as manage your personal communication preferences through SchoolRush. The most important thing needed to ensure you receive notifications from the district is to contact your child's school to ensure your information (email, phone, etc.) is accurate in our student information system. If changes occur to your contact information throughout the school year, please contact your child's school to have it updated in the student information system.